Why the Global Movement for Mental Health? Time to Join. Countries in crisis are a breeding ground for ill health. The social, political and economic conditions harbored by crises – from Tsunamis and earthquakes to conflicts – make countries ripe for disease. That’s why we see figures related to infant and maternal mortality, life expectancy and most communicable and non-communicable diseases posing a real threat to the livelihoods of a good chunk of the population in countries like the Sudan, Afghanistan or Iraq. These factors of instability, destruction and violence have a huge impact on the mental health of a population as well. In fact, it has been proven that in countries where conflict is present the rate of mental health problems are higher. Take Afghanistan for example: it is estimated that 73% of Afghan women show symptoms of depression, 84% suffer from anxiety, and 48% from post-traumatic stress disorder. Of course, the figures are not much better for men either, but, women being the most vulnerable group, suffer most. In many African countries, the situation concerning mental health is simply diabolical. Decades of conflict and violence matched by extreme poverty and destitution have left huge populations in a mental crisis. 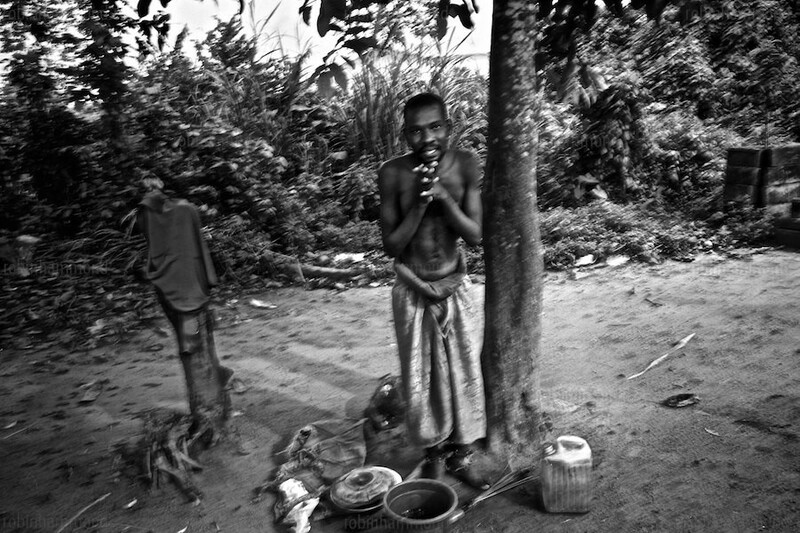 However, as dire as the situation is, these populations are the “forgotten,” “condemned” to a life of “misery and abuse,” according to photographer and journalist Robin Hammond, who recently published a collection of revealing photographs depicting the suffering of those with mental health problems in African countries which are most in crisis. The images are telling in themselves and speak volumes about the unthinkable extent to which men, women and children are being treated as sub-human – caged, locked-up, chained, abused, beaten and bruised – within their own communities. In many instances, as the photos describe, there seems to be no alternative available in the context of abject poverty, lack of awareness and access. 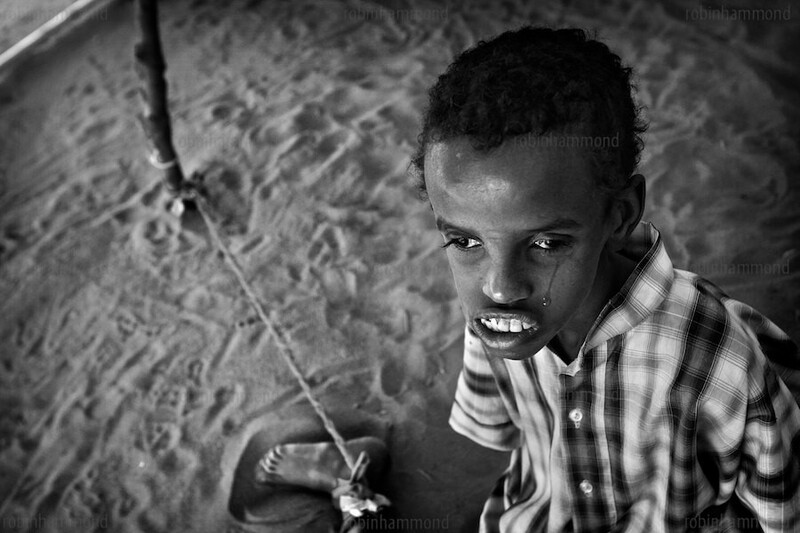 One photograph which stands out is of a 13 year- old Ahmed Adan Ahmed, who “spends his days walking in circles, or sitting running his hands through the sand at his feet,” as “for 10 years, he has been tied to a stick under the tarpaulin of a tent in a camp for Internally Displaced People in Galkayo, Somalia.” What is painstakingly hard to digest is that his mother Fawzia “sees no other option – if she doesn’t tie him he will run away,” she told the photographer. 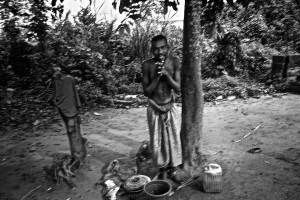 These photos and the collection by Robin Hammond is perhaps one of the most comprehensive collections of images which portray the devastating reality of the negligence of mental health issues and of those who suffer on the ground in some of the world’s most marginalized countries in communities. In the midst of upheaval, they are left to suffer in silence. In countries like Somalia, ravaged by over two decades of civil conflict, the World Health organization says that at least one in three people have some kind of mental health problem. And yet, the way in which such a major problem is being dealt with is by not dealing with it at all. The victims of disaster are being made to bear the brunt of their countries’ crisis — well demonstrated in the way in which those who suffer from mental illness are living across Africa. But I have to admit that when I saw these photographs, I couldn’t help but think about the situation in my own country, Nepal. Centuries of exploitation and poverty, followed by a brutal civil conflict and social, political and economic instability has left the country ravaged. In many ways, those who suffer from mental health problems in Nepal share a similar fate to those as shown in Robin’s photographs. 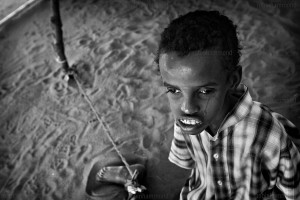 One image, in particular, of a 12-year old boy, Prabin, whom I came across years ago, keeps coming to mind. He was chained and locked up for seven years because he “lost his mind”. His father had to leave his job as a policeman during the Maoist insurgency because of the fear of violence. And when Prabin was two and half years old, his father went to Malaysia for work and returned home only after four years. Since then, no one had been employed in the family and one family member needed always to be around to look after Prabin. There were many cross-cutting issues I saw in Prabin’s family which are symptomatic of all countries in crisis— poverty, disability, mental illness, trauma from the conflict, lack of healthcare, migration and unemployment — all of which collectively pushed the whole family into a predicament, with Prabin at the centre of the suffering. Prabin is no longer in chains thanks to a few well-wishers, but thousands like him, young boys and girls across Asia and Africa, are still being chained, locked up and abused. Prabin’s photo is pasted below. If the simple fact that massive human rights abuses and violations don’t inspire you to act, consider this. If the simple fact that massive human rights abuses and violations don’t inspire you to act, consider this: Some of the most famous people in the world, contributing the most to our global prosperity, had mental health issues they faced. The only difference is they were treated with respect, had access to quality social and health care services, and used their mental anguish to fuel their trade . Some of the greats include Thomas Jefferson, Winston Churchill, Oprah Winfrey, and others mentioned on our Famous Faces page. Imagine a world where all those with mental health issues received timely support and treatment, and used their emotional depth as a force for good? Today’s blog post is just a reminder, to myself and others who are working towards achieving the goals of the Movement for Global Mental Health, of why we need to pool our efforts to address this immediate crisis. Sometimes, it’s easy to forget why we do what we do. I hope this serves as a reminder to us all.